I have getting 6.5" Infinity Kappas...they going to fit in my 05' Taurus SE? Specifically in my front doors? "To keep one car on the guessing list, I donate my win to whoever wins yours, unless I win yours, then my win is donated solely to myself as a win squared. (winÂ²) In the evnt that I do not win, the next winner wins the right to name the next car. (TrueBlue)"
They might, but you either have to make or buy and adapter for it since the stock speakers are elliptical. I have 6 1/2s in my front doors too. 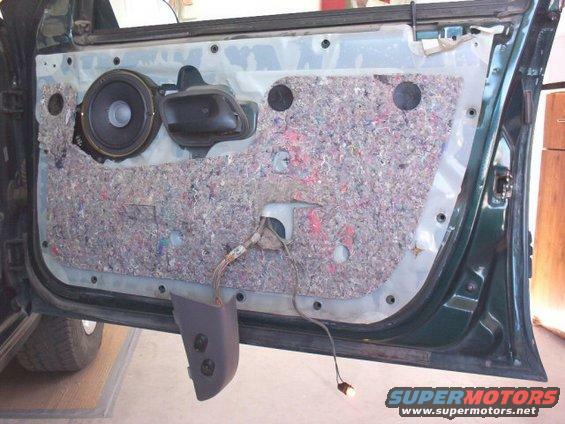 I used to work for the company that made the JBL Systems as well as most of Ford's conventional speakers. I can remember seeing the first mock ups of the MN-12 T-Bird Cougar 10 Liter JBL Subwoofers. I still can't believe those monstrosities were ever used in an OEM application. The Assembly Division wasn't too keen on them but Ford Audio wanted them at the time. 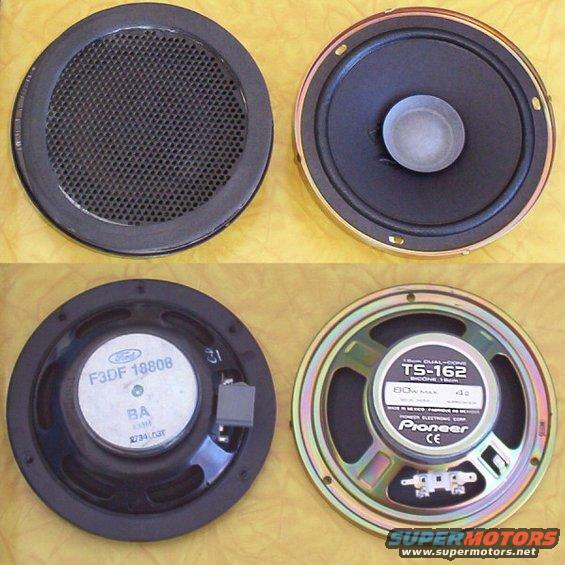 Those had a 6" or 6.5" long throw woofer. A giant PIA especially considering you can get just about as much low end from a good pair of 6x9's.... especially with vehicle specific EQ. YOU HAVE TO BE BUILT TOUGH TO OWN A FORD! Is there any reason why I thought 2000 had a sub? I've never seen this before. I was like 19 when I wrote this post. 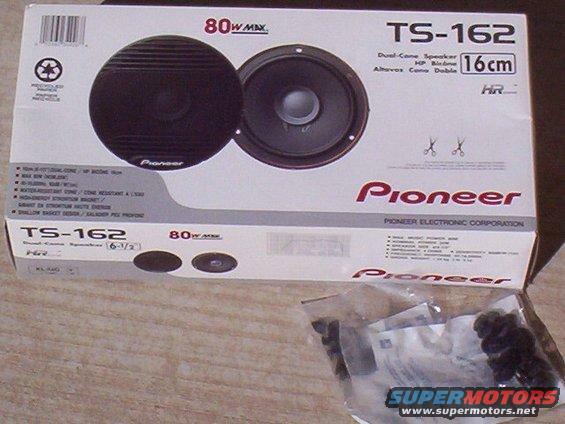 Will these work to install 6.5's in the front doors of my 98? - Anyone had success with 6.5's in a 98? I have 6x9s in my 2000 Taurus, if anyone needs pics yet.